"My name is Failure. 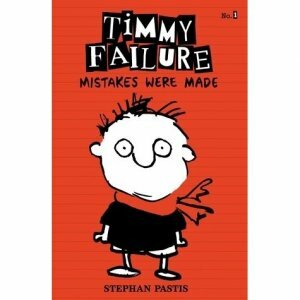 Timmy Failure. I am the founder, president and CEO of the best detective agency in town, probably the nation. The book you are holding is a historical record of my life as a detective. It has been rigorously fact-checked. All the drawings in here are by me. I tried to get my business partner to do the illustrations, but they were not good." -----From the publisher. Eleven-year-old Timmy Failure is determined to make money...lots of money...so his mother will never have to worry about the bills again. What does an eleven year old boy do when he needs big bucks? He starts a detective agency with his best friend, Total, a polar bear who doesn't really get the thrill. Unfortunately for Timmy there is a girl... a four foot tall enemy girl... don't say it, don't say it...her name is Corrina Corrina...ahhhh...you said it. "Some evil looks like Genghis Khan. Some evil looks like Attila the Hun. And some evil looks like... Corrina Corrina." She is the beast. Worst of all...she is a spy. Meet "detective" Timmy Failure, star of the kids' comedy of the year. Created by New York Times best-selling cartoonist Stephan Pastis. Take eleven-year-old Timmy Failure - the clueless, comically self-confident CEO of the best detective agency in town, perhaps even the nation. Add his impressively lazy business partner, a very large polar bear named Total. 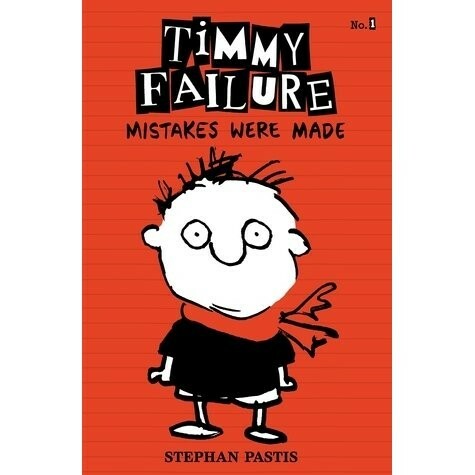 Throw in the Failuremobile - Timmy's mom's Segway - and what you have is Total Failure, Inc., a global enterprise destined to make Timmy so rich his mother won't have to stress out about the bills anymore. Of course, Timmy's plan does not include the four-foot-tall female whose name shall not be uttered. And it doesn't include Rollo Tookus, who is so obsessed with getting into "Stanfurd" that he can't carry out a no-brainer spy mission. From the offbeat creator of Pearls Before Swine comes an endearingly bumbling hero in a caper whose peerless hilarity is accompanied by a whodunit twist. With perfectly paced visual humor, Stephan Pastis gets you snorting with laughter, then slyly carries the joke a beat further - or sweetens it with an unexpected poignant moment - making this a comics-inspired story (the first in a new series) that truly stands apart from the pack.